Born in Almazul, Soria, Spain, on 8-2-1945. 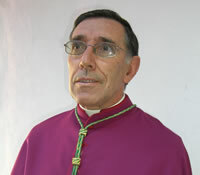 Bishop of Chachapoyas, Perú. Bishop Cisneros was formed in the seminaries of the Province of St. Joseph in Logroño, San Millán de la Cogolla and Salamanca. He made his religious profession in Salamanca on the 12th of October 1962 and was ordained to the priesthood in the same city on the 14th of July 1968. His first pastoral labor was realized in the Prelacy of Chota where he served as parish vicar in Tacabamaba, administrator in Huambos and pastor of Querocotillo and Chota during the years 1968 to 1981. He was also provincial delegate of the Delegation of Chota from 1975 until 1981. Transferred to Madrid in 1981 as vicar provincial and provincial secretary remaining there until 1984 when he was named master of novices. As master of novices, he served in San Millán de la Cogolla from 1984 to 1985 and in El Desierto de la Candelaria from 1986 to 1987. 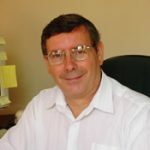 From 1987 to 1992, he was vicar provincial in Peru and, in 1992, he was elected General Councilor with residence in Rome until 1993. 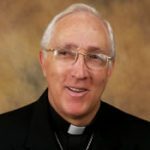 On December 7 of 1993, he was named bishop of Chota and was ordained by Pope John Paul II in the Vatican. He took possession of his Prelacy on February 24, 1994. On the 27th of March of 2002, he was named bishop of Chachapoyas and took possession of the see on May 12th of the same year. Since May of 2000, he had acted as apostolic administrator of Chachapoyas. The Diocese of Chachapoyas was erected by Pope Pious VII on the 28th of May of 1803. At the time, it was known as Mainas. At the beginning, the diocese embraced most of the eastern region of Peru and part of territories now belonging to Ecuador and Colombia. In 1843, the see city was moved and the name changed to Chachapoyas. At present, the territory has been much reduced and includes five provinces and part of another amounting to an extension of 20,000 square kilometers and an approximate population of 350,000. There are 24 parishes, 20 diocesan priests and six priests from foreign dioceses or religious communities as well as 15 communities of sisters. It is the sixth oldest diocese of Peru and has been served by 13 residential bishops until the present. The territory of the diocese is located in what has been called “the edge of the jungle”, the land of transition between the cordillera of the Andes and the eastern forests. Both territory and population are located in the part of the Andes in contrast to the origins of the diocese which was created as mission territory for the evangelization of the native peoples found in the jungle.